Al Jardine has the best singing voice of all The Beach Boys today … strong and clear without a hint of age. 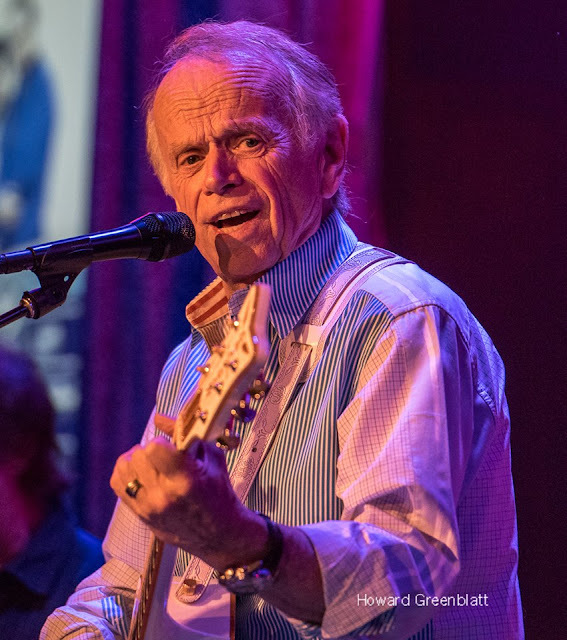 But Al Jardine has consistently come through with one great vocal triumph after another. 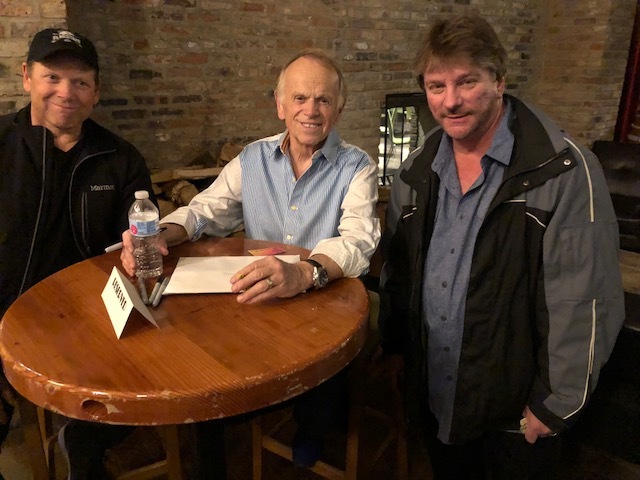 Now I’ll admit, I went into the evening a bit skeptical and apprehensive … what does one expect from an Al Jardine concert? Sure, he’ll have to do a few Beach Boys songs to please the fans … but will the rest of the night be spent showcasing new, unfamiliar solo material … or will Al use this as an excuse to FINALLY present the folk-roots program he’s always dreamed of doing? From there, the journey continued through their hits “I Get Around,” “Little Deuce Coupe,” “Surfer Girl,” “Don’t Worry Baby,” “California Girls” (Absolutely INCREDIBLE sounding with just the accompaniment of Al’s guitar and Jeff’s piano … in fact, the sound this trio was able to achieve throughout the entire evening was nothing short of outstanding … it was VERY impressive listening to what they could recreate by using just their three voices and two musical instruments! ), “God Only Knows,” “Heroes And Villains,” “Good Vibrations” (Can you believe they even dared?!?! And yet it sounded fantastic! ), “California Saga,” “Vegetables” (!!!) and, for me, the highlight of the evening, “Sloop John B.,” which gave Al the chance to tell the story about how he was FINALLY able to get Brian to record a folk song, four years into the band’s success. All three of us in our Forgotten Hits group were able to take a picture with Al and his son Matt after the show. And we were even able to snag a couple of great stage shots and share them with our readers, courtesy of City Winery House Photographer Howard Greenblatt. All-in-all, a GREAT show … I can honestly say that it exceeded my wildest expectations in every way. It sounds like Al’s just filling time doing some solo shows through the end of the month until he teams back up again with Brian Wilson in May for a full-scale tour with The Brian Wilson Band, which includes three shows in Nashville with a full orchestra. They'll return to the Chicagoland area in November at The Horseshoe Casino in Indiana, where’ll they’ll also perform a complete set of Christmas music. Below is a review of Al Jardine's "Postcards From California" show posted from a Beach Boys fan group I belong to. It was an entertaining, although occasionally frustrating, show. Matt Jardine and Jeff Alan Ross do an excellent job of supporting Al, both musically and keeping him on track with the sequence of songs. It’s hard to believe you could do a nice rendition of “Good Vibrations” with just a keyboard, a guitar, a tambourine, and three voices, but they did. The frustrating part was Al’s rambling stage patter and fidgeting with the mic stand. He had the basis of a few good stories that unfortunately just sort of petered out. I would have appreciated more personal reflections on the band’s early days and his favorite memories of Carl and Dennis, too. If he worked on crafting his anecdotes and observations between songs better, it would have been much more effective. Al was a bit absent-minded throughout the show and Jeff and Matt jumped in several times to remind him of stories to tell or which tune was next. Since it was a relaxed, semi-unplugged performance, nobody seemed to mind. It was a nearly-full house and a very appreciative audience.